* Last week a small pub on a beach in North Wales was named the third best beach bar in the world, beating bars in Australia, America and South Africa. 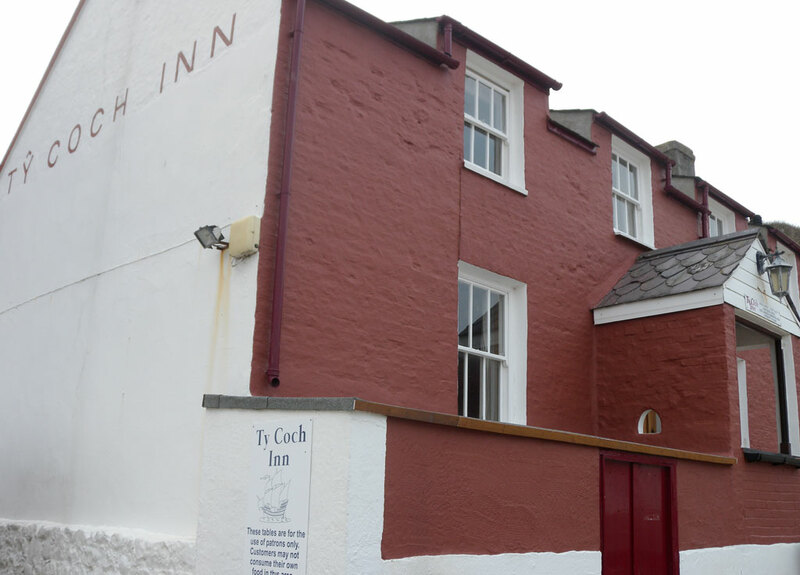 I’ve visited the Ty Coch Inn [pictured above] several times and this story was based around my first encounter with a Llyn Peninsula institution. I’m not cut out for life as a pilgrim. Mortification of the flesh is not my thing and, besides, I don’t have anything in sackcloth. Windswept on a fresh Saturday morning at St Beuno’s Church in Clynnog Fawr, however, I found myself about to retrace the footsteps of the 20,000 saints that blazed a medieval trail to Bardsey Island during the 14th-century halcyon days of the North Wales pilgrimage. Tackling the 47-mile Edge of Wales walk, an extension to the Llyn Coastal Path, could help me find some higher meaning to life. Or, at least, shed a few pounds, get some sun and soak the scenery in this lost-in-time enclave of rural North Wales. When the Pope decreed that three pilgrimages to Bardsey would have the same value as one to Rome, the Llyn Peninsula witnessed a pilgrim explosion and Bardsey became the Mecca. But while the original God-fearing wanderers set out with just cloaks and sandals, the present-day pilgrims beside me at St Beuno’s assembly point had come armed with GPS and Gore-Tex jackets. “By following the pilgrim’s way I feel at one with nature and God,” explains Gill Gordon of a group of third-order Franciscans. The four-year-old trail splits into nine convenient stages across four to five days and visits the ancient forts, holy wells and medieval churches that waymarked the original pilgrim’s trail. Overall, the Llyn makes for perfect walking country with plenty of infrastructure, plus deserted beaches, wild flower-shrouded headlands and rustic, lost-in-time villages to discover en route. Better still, while the beaches and guesthouses of the hub towns, Abersoch and Aberdaron, are packed in summer, come autumn the Gulf Steam-warmed climate and empty, open spaces make for an ideal time to visit. Over the next few days the going would range from strenuous on the first sections, a 13-mile yomp, often uphill, from Clynnog to Nant Gwrtheyrn, to gloriously flat on the middle straight from Nefyn to Tudweiliog that dips its toes into the waves that lap the National trust-owned beach. The scenery was ever changing – from crashing rocks and Atlantic swells as I hugged the north coast, to ruined Methodist churches and rustic farmsteads on occasional inland deviations. The sense of being close to the saints was always with me, especially at the humble little church of Pistyll. Many pilgrims were sick and ill, their odyssey the last act of a dying soul, and Pistyll church became a regular stop as the garden was given over to growing herbs and plants to help treat the sick. As I open the thick-set wooden door of the church, I’m transported back in time by the herbal smell of the interior: rushes on the floor, flower garlands across the pews and the heady aroma of evergreens filling the air. 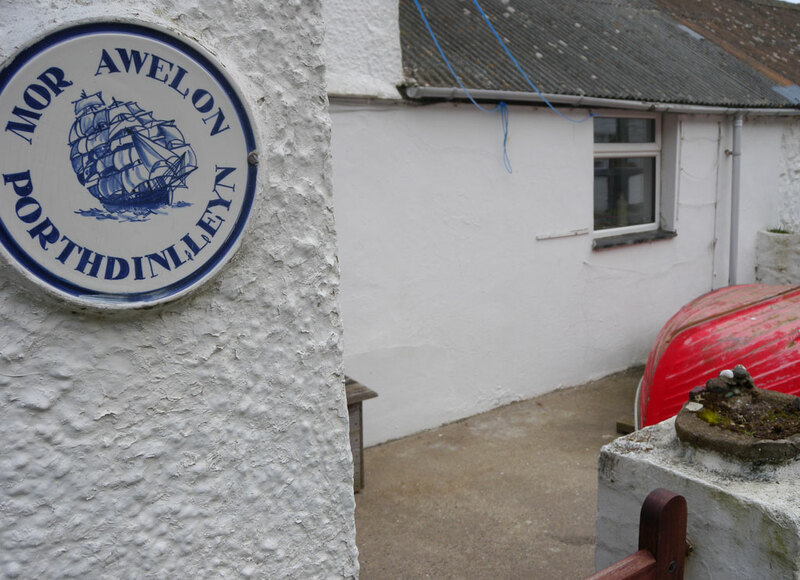 The Llyn Peninsula is proudly Welsh and the population 80 per cent Welsh speaking, yet people are happy to chat with a passing pilgrim at the rural pubs along the route. Tracing the headland to the beach at Porth Dinllaen [pictured below] for a late lunch one day, I found one of my favourites, Ty Coch. From its beachside location, Ty Coch has been attracting a new genre of pilgrim of late: film buffs. Demi Moore shot key scenes from the 2006 Hollywood drama, Half Light, in the pub, but her tinseltown trappings did little to impress the locals. The days passed with ozone-filled strolls and glorious coastal vistas while Edge of Wales guides were on hand at the end of the day to transport me onto a comfortable B&B for the night and a full Welsh breakfast the next morning. So it was with a heavy heart that, as I descended the hill to face the imposing brick façade of St Hywyn’s church, Aberdaron, I knew the end was nigh. The Welsh poet RS Thomas made Aberdaron his parish from 1967 to 1978 and his bleak, angry verse captures the end-of-the-world feel of the village. Across from the church, restaurant Y Gegin Fawr was built around 1300 for saints to claim a meal before heading to Bardsey and today remains a café, although lasagne now replaces gruel. Tossed about in a small, canary-yellow boat in the Aberdaron Sound, I finally arrive on Bardsey to a welcoming committee of seabirds: Manx Shearwater and puffins. As I stride ashore amid the perfect still of the afternoon, the ghostly cry of the grey seals evokes the wailing and gnashing of teeth of the 20,000 martyrs that died on the island as saints, their souls cleared of sin and a one-way ticket to eternal paradise assured. My pilgrimage was complete but the journey was just beginning. * This story was first published in Coast magazine in 2009. Liked this? Try also, Wales Coast Path blog for Visit Wales.